Peter Hajek, Ph.D., from the Queen Mary University of London, and colleagues randomly assigned adults attending U.K. National Health Service stop-smoking services to nicotine replacement products of their choice provided for up to three months or an e-cigarette starter pack. A total of 886 participants were randomly assigned; treatment included at least four weeks of weekly behavioral support. The researchers found one-year abstinence rates of 18.0 and 9.9 percent in the e-cigarette and nicotine replacement groups, respectively (relative risk, 1.83). Of the participants with one-year abstinence, the likelihood of using their assigned product at 52 weeks was higher for those in the e-cigarette versus the nicotine replacement group (80 versus 9 percent). 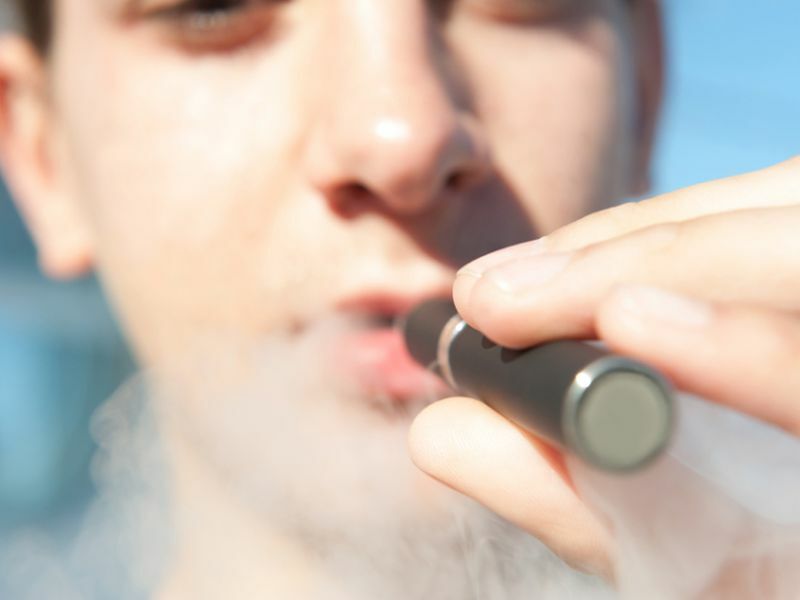 The e-cigarette group more frequently reported throat or mouth irritation (65.3 versus 51.2 percent), while the nicotine replacement group more often reported nausea (37.9 versus 31.3 percent). Greater declines in the incidence of cough and phlegm production were reported from baseline to 52 weeks for the e-cigarette group versus the nicotine replacement group (relative risk for cough, 0.8; relative risk for phlegm, 0.7). "In our trial, refillable e-cigarettes had greater efficacy than nicotine-replacement therapy, even though nicotine replacement was provided in combinations and under expert guidance," the authors write.